In 1884, eight years after Alexander Graham Bell and Thomas Watson had the world's first phone call, industrialist John Jacob Astor IV published his predictions for the 21st century. Along with ill-fated predictions of steel-covered roads and the discovery an anti-gravitational force, he also foresaw video calls. "Telephones have been so improved that one person can speak in his natural voice with another in any part of the globe, the wire that enables him to hear also showing him the face of the speaker," wrote Astor in his history of the future. Wires aside, that prediction came true. Video calls came in starts and fits. The earliest came from AT&T's labs in 1927, with a room full of equipment. Public videophone booths were available by the 1970's, and in the early 1990's you could buy a video phone for around $1,000. Then, apps and wider bandwidth came, and video calls and conferencing became more ubiquitous–as long as you had a decent internet connection and a capable device, that is. Today, if you're shopping and want advice from a friend, a video call is only a couple taps away. If you need to interview or consult with a dozen people who live in another city, you can do so face-to-face without leaving your desk. Sometimes, FaceTime is clearer and cheaper than a "normal" phone call. And yet, team video calls can still be an exercise in frustration, with delayed video, glitchy graphics, and batteries drained in minutes. We know. As a fully remote team, Zapier relies on video conferencing to hold team meetings, share ideas, and check in on each other. We've tried a lot of video call apps—and have suffered through one too many terrible calls. And so, after trying nearly two dozen video conferencing apps, we've settled on the ones that consistently work well. Here are the best apps to make a video call whenever you want, including the brand new Amazon Chime and our team's long-time favorites: Zoom, Appear.in, and the new Hangouts Meet. Tip: For co-located teams with several offices, dedicated video conferencing devices for full-room meetings might be a better option. For smaller or fully remote teams—or for anyone who just wants to jump on a video call from anywhere—these call apps are a much better option since they work anywhere you have an internet connection. You've got an idea and want to run it by team members quickly, without a lot of unnecessary back-and-forth. Or you want to check in on a coworker and see how a project is coming along. 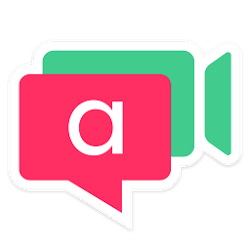 All you need is a quick way to make a video call, without any hassle. These apps are the ones we turn to for that. Open your browser, go to appear.in, and click Start (or enter your own "room" name, if you don't want an auto-assigned name). Now copy the link, share it with your colleagues, and up to 7 other people can join you in the call for free. There's a chat pane to share text and links, stickers to cover your face, and an option to share your screen if you install a browser plugin. You can even start a new call right from Slack with the /appear command. It's hard to imagine a simpler way to have a video conference—and it's the tool many in the Zapier team grab when jumping on a quick call. Tip: Appear.in works in Chrome, Firefox, and Opera, so you can't make calls from Safari right now. It's just a call—and it works every time. The simplest way to make a video call with one other person is built into your iPhone's Phone app: FaceTime. As long as you and your colleague have a Mac or iOS device, you can make a quick audio or video call over your data connection. Odds are, it'll sound great, too—even over congested airport Wi-Fi. It's just a call, though. To chat, you'll need to use iMessage—and on iOS, switching apps turns off your video—and there's no way to share your screen. But for a quick, clear video call, it's hard to beat. Tip Not using an iPhone? Facebook's Messenger app now includes 1-to-1 video calls, as do other popular messaging apps including WhatsApp, LINE, and Viber. Want your own video call phone number that anyone can use to chat with you at any time? That's essentially what Gruveo offers. It's as simple as Appear.in, though only for 1-to-1 calls, making it a great alternative to FaceTime. And it includes a chat sidebar for quick collaboration. It's best feature, though, is direct codes. 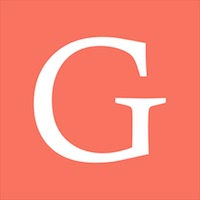 You can register your own @name on Gruveo and share a simple gruveo.com/@name link to let people call you. Then, instead of putting your phone number on your site, just leave enable Gruveo's browser call notifications (or install the Gruveo Chrome extension) and you can receive video calls anytime anyone needs to get in touch. It started out as a whimsical take on a team chat app, one that made discussing business plans and deadlines a bit more fun with emoji and GIFs. Today, Slack is one of the most popular team chat apps, and it's taken chats beyond just text and images. Slack added 1-to-1 voice calls to its desktop and mobile apps in June 2016, following up six months later by adding a video to those calls. To call a colleague in Slack, just open a channel or Direct Message and click the phone icon—Slack will start the call in a new window and add a notification to the chat. Calls feel a bit more like a normal phone call with video added on. You can tap the video icon to turn on video, or just make a quick voice call if you'd like, which might be the fastest way to discuss something that'd take too long in chat. Up to 15 people can join the call, for now, and you can only make video calls on desktop. What they lack in features, though, Slack calls make up for in convenience. They're just a tap away in Slack, and come with Slack's most popular emojis so you can show your reactions during a call. You can't share your screen yet, either—though Slack's Screenhero app is one of the fastest ways to share your screen, too. For a deeper look at Slack's features and pricing plans, check out our Slack review. Use a different team chat app? HipChat also includes video chat with up to 20 people and ChatWork supports video calls with up to 14 people depending on your plan, while the new Microsoft Teams chat app includes video converencing that integrates with Skype for Business. There's one other app that deserves an honorable mention here: Skype. As one of the first video call apps most of us have used, it's likely still hanging around your computer and can still be a quick way have a 1-to-1 call. And, it now offers group calls with up to 25 people for free, and even lets people join the call from the web—that is, once you've installed a plugin. But, unfortunately, it's not as reliable as these other tools. Our team has tried to use it for group calls, and never could seem to get it to reliably work for more than 2 people. Even just voice-only calls sometimes lagged or dropped. It's still worth keeping around if only for calling people who you've already added to your Skype account–and because so many people use Skype—but you'll probably have a better experience with most of these other apps. Two's company, three's a crowd goes the saying, and video call apps hold you to that. Most free, simple video calls are 1-to-1. That's fine for getting advice from a colleague or chatting up with a remote teammate. It's not enough, however, to get your entire team on the same page. These apps, though, have what it takes. It's hard to try out a wide range of video conference apps and not come away impressed with Zoom. It's the group call app that, for the most part, just works. You'll first need to install its apps, and then can have a free video call with up to 50 people as long as you don't talk for more than 40 minutes. Paid plans let you chat with up to 500 people at once, plenty for all but the largest teams. The important thing is, it works great. Even when your internet connection isn't the best, Zoom typically will keep your video going—though sometimes at a reduced quality level. It's even light on your computer resources, with only moderate battery drain and CPU usage during most calls. You can record any call with a full-length video, or keep a sub-conversation going in the text chat. And, you can share your screen, choosing to either show your whole screen or just one of the apps you're running. It even lets you schedule calls in advance, chat anytime with any of your contacts, or connect to room conferencing hardware. Aside from some tiny app annoyances—such as automatically going full-screen for all viewers when someone shares their screen—it's a nearly perfect team video app. For a deeper look at Zoom's features and pricing plans, check out our Zoom review. With up to 25 participants in free calls right from your browser, Google Hangouts is a fairly good contender for team video conferencing. It's best feature, perhaps, is its deep integration with Google's other apps. Whenever you create a meeting in Google Calendar, you'll get a Hangouts link that you and your meeting attendees can click to instantly join a call. And when you're in the middle of a call, you can find files from Google Drive and Apps and share them in chat, without leaving your call. Hangouts is being redesigned right now, with the newly released Google Hangouts Meet adding a clean new design to Hangouts' video chat for teams using G Suite. It's much the same, with a simpler interface and no text chat—that's being moved to the upcoming Google Hangouts Chat app in the near future. And if you have a G Suite enterprise plan, you can now include up to 30 people in your call. 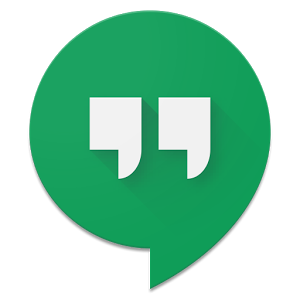 The only downside is that Hangouts—in the old version and in the new Meet—can struggle with large group calls. Because it runs from your browser, it'll go through your laptop battery far faster than Zoom, and doesn't degrade calls as gracefully as Zoom if your internet connection is slow. That may improve, though; Google promises that Meet should be less resource intensive. And if you want to bring large teams in your calls, you can use the new Hangouts conference room devices for full-room video chats—and the Jamboard touchscreen device for team collaboration. Put those together with the new Meet app and Hangouts' integration with the rest of Google's apps, and Hangouts just may turn into the best way to talk with your team. Tip: Learn more about Hangouts with our Missing Guide for Google Hangouts. GoToMeeting is part of a family of video conferencing apps that let you meet with your team or broadcast a webinar to thousands of viewers. It's all built around the same apps—you'll schedule meetings online, then use GoToMeeting's app to join calls, share your screen, and present to audiences. 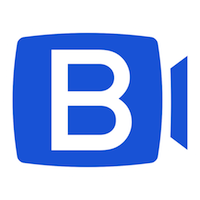 It's packed with professional features, including call recording, dial-in numbers (or an option to have GoToMeeting call your number so all you have to do is answer), and let up to 6 people on the call have their video streamed in HD. Attendees can even join from their browser. And if you're sharing your screen, you can use drawing tools to point out things you're talking about. 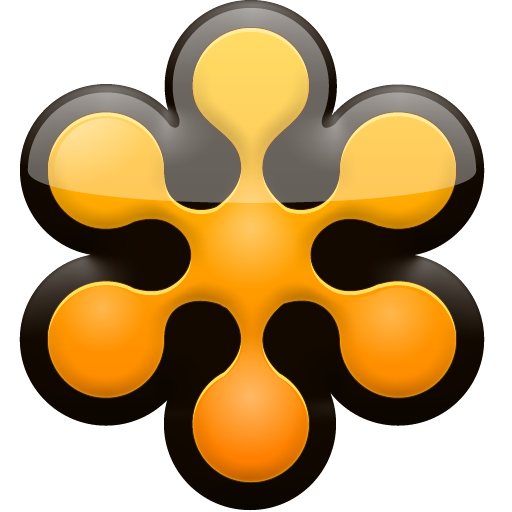 GoToMeeting's apps can be a bit confusing, packed with controls that can push your chat or settings out of view. And it often wants to install updates just as you're starting a call. For the most part, though, it's a reliable option that can be a good choice if you want a tool for team calls and webinars. The latest entrant to the video conference apps space, Amazon Chime's apps are a sleek new way to chat with your team whenever you need. Powered by the tech behind Biba—another video conferencing app that Amazon acquired—and Amazon's own AWS services, Chime's video quality and latency were as good as Zoom's in our tests. It's just as easy to use for calls, with built-in chat and a screen sharing tool that minimizes participants videos while you're presenting to keep you from getting distracted. It's best, perhaps, for keeping your team working together in an app that's a bit more like a audio and video-focused Slack. You can start standard text chat rooms to keep conversations going, and start a video call right from the room. Or, you can schedule calls, and whenever it's time for the meeting, Chime will call everyone's desktop or mobile Chime installs so they can jump on the call just like they would any other call. 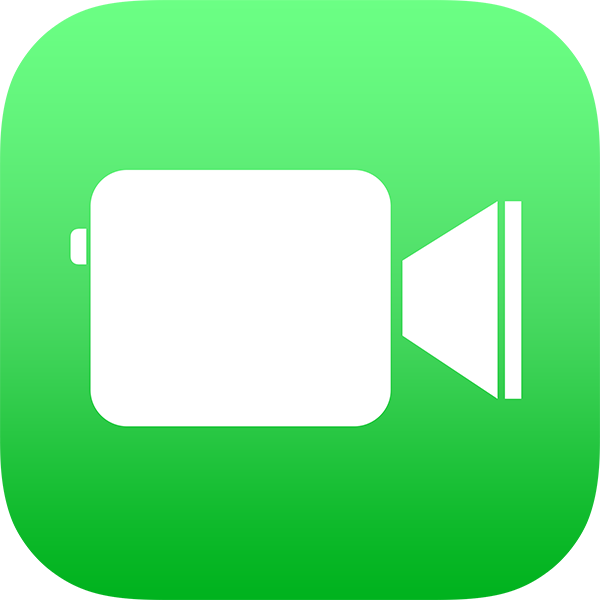 For now, it's a bit more limited than other video call apps, with a max of 16 video participants at once, but it's also one of the most nicely designed video call apps available today. Need a video conferencing tool that works across many different kinds of devices, including conference room devices? BlueJeans combines simple, easy-to-use apps with support for a wide range of devices so you can start a call from your PC, let colleagues join it from mobile or Linux devices, and stream it to your conference room so everyone can join in. Its apps are as easy to use as the more consumer-focused video call apps but are designed to be used on larger teams. And if you want to present to a crowd, it includes webinar tools as well. 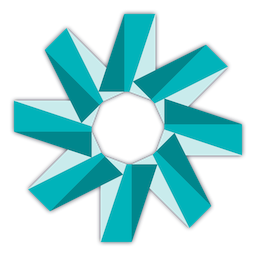 The only downside is that its apps weren't quite as responsive as some of the others we tested—and its Enterprise pricing isn't public, so you'll need to contact its team once your trial is over. Want something a bit different? Here are some video call apps that put the focus on collaboration, with video on the side. 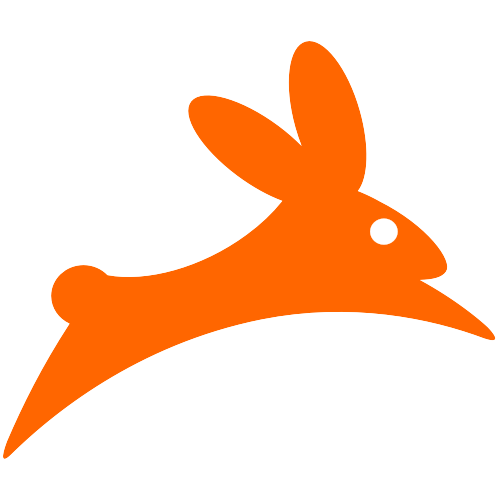 Rabbit isn't necessarily designed for productivity—it's more designed as a way to watch videos with friends from anywhere. Start a call, and you can pick from a variety of popular video sites—or Google—to watch something with your friends. The call will then start with an embedded browser at the top of your screen, and a tiny video icon of you and your friends at the bottom. You can type anything in the address bar to pull up a video or website you want to show off—or tap the remote icon to let others take the controls. But you can use it as a professional too, since you get a simple way to pull up any site you're working on, perhaps to get feedback on a design mockup or watch a conference video as a group. And if you just want to have a video call, hover over a caller's icon to see their video instead of the built-in browser. One of the most reliable ways to show a presentation is with a .pdf file. Make each slide a full page, and you can flip through them on any computer or browser, anywhere. 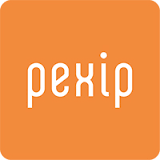 Pexip uses that same idea for its presentations. 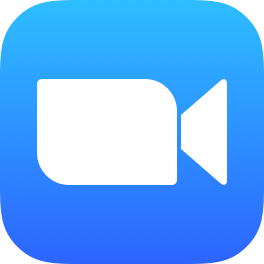 You'll start a video call, either in its web or mobile apps, or log in using WebRTC connection or Skype Business and Cisco Jabber integrations. You'll be able to see everyone in your call, no matter how they're logged in, and can call in via phone if your internet connection is down. Then, from the web app, you can upload a PDF file and show it as a presentation, flipping through each page as a slide while still seeing everyone in your call. It's a simple way to do group presentations, especially for teams that need to bridge multiple video conferencing systems. Want to show something you're working on, and let everyone join in on the action? 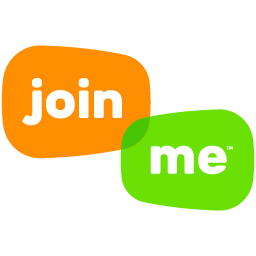 Join.me from the LogMeIn team is the tool to grab. It shares your screen by default as soon as you start a call, so you can show off anything in any app. You'll need to install Join.me's app to start the call, but your participants can join in from their browser—no install required. Want just video chat? You can turn off the screenshare and see just the video streams in bubbles in a larger app screen. Or, if you want your team to help you out, you can share your controls and let others take over your mouse and keyboard to control your keyboard—just like in LogMeIn's signature tools. On mobile, you can even pull up a virtual whiteboard to sketch ideas and stream them to your team. 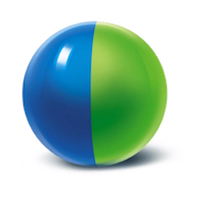 From one of the leading manufacturers of video conferencing hardware, Cisco WebEx is designed around collaboration. Start a call, and the main part of the app will show a virtual whiteboard—with chat and videos off on the side. Everyone in the call can then type, draw, add shapes, and highlight or annotate anything on the screen, for an easy way to brainstorm ideas. If you just want a normal video conference, you can take the video full-screen and hide the whiteboard. Or, you can share your screen, perhaps to kick off the discussion and then brainstorm other ideas in the virtual whiteboard. It can even work for your larger meetings, with WebEx Events that can let you broadcast to up to 3,000 people with the same tools. And if your team needs an easy way to stay in touch between meetings, Cisco's companion Webex Teams app adds team chat and one-click calls to your video collaboration. When you get a new phone number, you're stuck with it. It's a huge hassle to switch numbers—and often you're stuck with a years-long contract. That might be the case with traditional video conferencing hardware, but the apps today are good enough to not have to worry about that. With any of these apps, you can quickly start a video call, often without even installing anything. And if it doesn't work, another video app is only a New Tab away. And, you don't have to rely on only one video call app, either. One of the first apps might be best for quick calls with colleagues, while you'll likely want a more powerful app for your full-team calls. Then, when you need feedback on a project or want to learn something together, one of the latter collaboration-focused apps might have what you need. I'm sure you've have bad experiences with team video calls—we all have. But these apps are worth your time, and just might make you glad you live in the future. Learn how to work better in a remote team with Zapier's Ultimate Guide to Remote Work. Intro inspired by James Gleick's Time Travel, chapter 2. Article originally published 12 Jan 2017; updated 14 Feb 2017 with details about Amazon Chime, and 10 Mar 2017 with info about Google Hangouts Meet.